SHACKERLEY MARMYON, Master of Arts. AS IT HATH BIN LATELY and often Acted with great applause, by the high and mighty Prince CHARLES his Servants; at the private house in Salisbury Court. Printed at London by I. B. for IOHN GROVE, dwelling in Swan-Yard within Newgate. 1632. 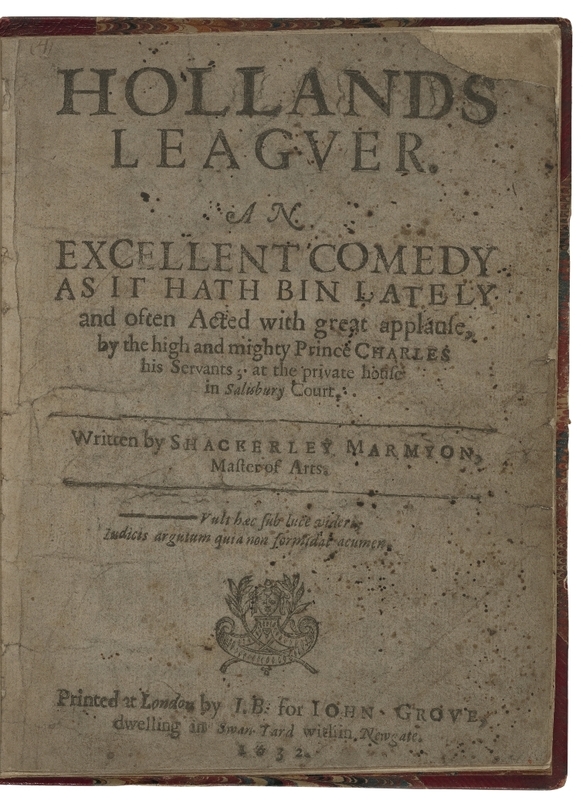 Title page imaged from Folger call number: STC 17443.5. Image is not from the transcribed copy.